while offering straightforward, honest financial advice. Our phone number is local. Our office is right around the corner. Take a moment and see if we’re right for you. 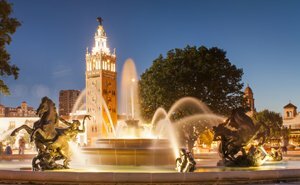 At Parkway Wealth Advisors, we’re proud to call Kansas City home. We’re passionate about our community, and it’s this passion that drives us to help our neighbors and local business owners achieve their financial goals. We take the time to get to know you, offering personalized attention and financial guidance along the way. And when you need us, we will be here for you. Chris is a dedicated, passionate financial advisor who listens to his clients, educates them on their financial options and provides personalized investment strategies based on their specific goals. After spending several years at a large, national financial services firm, Chris decided it was time to branch out on his own. Throughout his career, Chris has never been swayed by sales goals or quotas, but instead is guided by the strong conviction of providing solutions based solely on what is in the best interest of his clients. 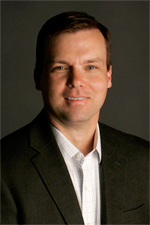 Chris was born and raised in the Kansas City area. In 1997, he earned a Bachelor’s degree from Missouri State University and a Master’s of Business Administration (M.B.A.) from Rockhurst University in 2002. Today, he resides in Brookside (Kansas City, MO) with his wife, Sara. Together, they enjoy working in their yard, cheering on the local sports teams and spending time at the lake with family and friends.